As the Office Manager and Bookkeeper, Diana Jackson can best be described as the CEO of managing Chicago Debates’ financial health and keeping the Chicago Debates’ office running effectively and efficiently. After working in the Corporate arena for many years, she felt it was time to do some work that was much more meaningful. After meeting some of the amazing Debate students (especially middle school students) who greatly impressed her, Diana knew she had landed in the right place. 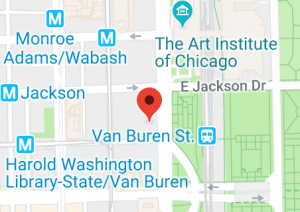 Diana has worked in the area of Accounting/Finance for nearly two decades ranging from working at the University of Illinois-Chicago for nearly 8 years to working for a prestigious Educational Collection firm for nearly 7 years. 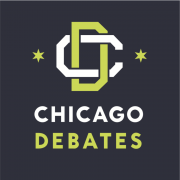 Chicago Debates was her first adventure in the nonprofit industry, and she couldn’t be happier. Having graduated with a B.S. in Accounting from the University of Illinois-Chicago, followed by a Masters of Business Administration with a concentration in Accounting from National Louis University, Diana is currently in the process of obtaining her Certified Nonprofit Accounting Professional Certificate. She is a member of the National Association of Black Accountants (NABA), Big Sisters helping Little Sister and Single Mom Strong, Inc.
Diana is the Mother of an amazing, beautiful, intelligent and athletic daughter. The majority of her time is spent traveling around watching her daughter play the sports she loves, whether it’s on the volleyball court or softball fields across the country. In her rare off-time, Diana enjoys shopping, bowling and visiting wineries.